Los Angeles Interior Designer Best of Houzz 2012-2018! Alison Designs is a boutique full service design studio specializing in residential interior design. Based in the South Bay area of Los Angeles, the studio covers a vast array of projects from new construction to remodels in Southern California as well as San Francisco and Marin county. 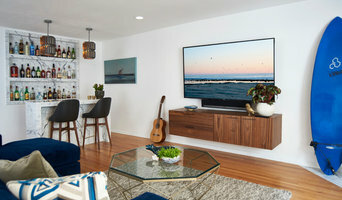 LA Westside's Award-Winning Full Service Interior Designer | 6x BOH! Founded in 2000 by designers Michael Ostrow and Roger Stoker, Grace Home Furnishings provides a vibrant, inviting atmosphere where you can shop, place a custom order, or get personalized decorating advice from their team of in-house designers. Whether you are looking for a unique piece of furniture or full-scale interior design services, Grace Home Furnishings can turn that vision into a reality that is classic and refined, elegant yet comfortable. Our Los Angeles showroom is located in the heart of Brentwood Village. 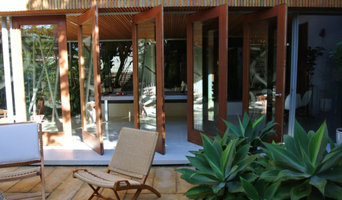 It offers 3,000 square feet of graceful and distinctive custom furniture and home accessories. The style combines East Coast refinement and Old Hollywood glamour with the comfort and ease of Southern California living. Our Palm Springs showroom is located in the Uptown Design District, and focuses on design services and our own Grace Home Collection© of furniture and fabric. Ostrow and Stoker, with backgrounds spanning the fields of interior design, furniture manufacturing, art history and architecture, are the creative forces behind the store’s design aesthetic. The Grace Home Collection© of custom upholstery and case good pieces, which they design and manufacture in Southern California, is built to order and can be customized in any way. The newly released Grace Home Collection© fabric line is also available in both of our stores. 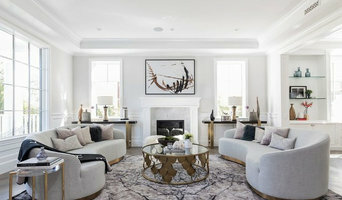 The Grace Home Furnishings team has designed interiors for high profile clients including Sutton Foster, Madonna and Heidi Klum. Their work has been featured in House Beautiful, Traditional Home, Architectural Digest, Angeleno, Los Angeles Magazine and the Los Angeles Times. Lori Backen Interiors exemplifies the feeling of the California lifestyle. Her interiors are warm and inviting, comfortable yet sophisticated, casual with a touch of playfulness. Over the past 20 years she has created gorgeous environments for clients throughout California, Colorado, Montana, Utah, Washington and New York. Lori has worked on several high-profile interior design projects including the Sundance Institute and Robert Redford’s private residence in Utah, the guest suites at George Lucas’ Skywalker Ranch, the Aspen Institute and the Crown Family Private Residence in Aspen. Her work ranges from luxurious mountain homes, rustic fly-fishing lodges, highly acclaimed restaurants and hotels as well as high-end residences in Bel-Air, the Napa Valley, Silicon Valley, Aspen, Santa Monica, Malibu and the Hamptons. The restaurant French Blue that she designed and owned with her former husband, architect Howard Backen, in St. Helena was listed in Architectural Digest as “One of the 10 Most Beautifully Designed Restaurants of 2012”. Lori has been published in “From the Land” by Rizzoli and “Weekend Houses” by Penelope Rowlands for Chronicle Books. Her work has been featured in Architectural Digest, Elle Decor, California Homes, C Magazine, Forbes, House Beautiful and Metropolitan Home. We are a full service interior design & decorating firm for both residential and commercial spaces. We love all styles and listen to what our clients needs are. It is then our job to create their spaces for them to enjoy. We are not your cookie cutter designers, rather we are out of the box thinkers. We like to reuse some of your pieces if possible and reinvent them to work in the design plan. A little about me and Creative Spaces Interior Design, Inc. Interior design has been a life long passion. I remember as a little girl having the coolest Barbie doll houses with items I found. This is my second career. Prior to designing for a living, I was an accountant for 25 years. With that I bring a valuable skill set to be able to work within any budget, and stay on budget. I rarely have to go back and ask a client for more money to complete their design. I finished the certificate program at OTIS College of Art and Design and started my own firm. I love what I do and my passion shows through my designs.